Kurt Black Fedora | Fawler | In stock! How do I find my hat size? You will need a tape measure and a mirror. Optional: Skip the mirror and use a friend. Place the tape measure around your head where the hat’s inner band will sit. Let the ends meet on your forehead. Make sure the tape measure is not too tight. Read the circumference from the tape measure, and use the chart further down to pick a size! Remember different hats sit differently on your head. You may even prefer to tilt your hat in a certain way. Measure so that your tape measure sits where the hat’s inner band will sit. Hats usually sit most comfortably about 1 cm above the ears. If you have no tape measure, you can use a piece of string and a ruler. 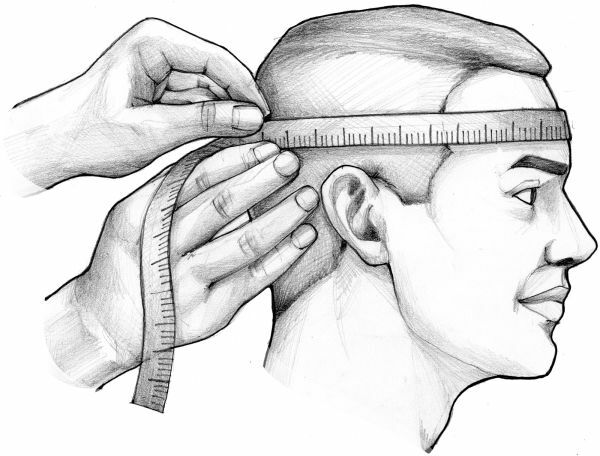 If you have a hat that fits you well, you can measure the inner band of the hat, where the dome and the cylinder meet. Sturdy, yet soft with its 100% wool makeup, this fedora hat was expertly crafted in Italy, and features a classic creased crown, flipped brim, and wide colour-matching band. Wool offers cooling properties in summer and warming in winter, natural materials at their best.